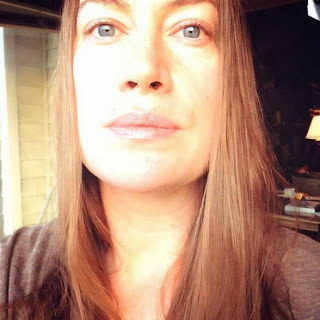 Heather Arndt Anderson is the author of the new book Breakfast: A History. A food writer, she has a blog, Voodoo and Sauce, and has contributed to a variety of publications, including the Food Cultures of the World Encyclopedia. She lives in Portland, Oregon. Q: How did you end up writing a book about breakfast? A: The answer to this question is not very romantic, unfortunately! I had heard that Rowman & Littlefield was doing a series on the meals, and I prepared a proposal and sample chapter. I guess ten years as an environmental consultant taught me how to respond to an RFP, because I got the job. Q: What did you learn that surprised you the most? A: Honestly, I learned so many things writing this book. I loved learning about the Kellogg brothers and the fraternal divide over sugar; that wacky, faddish diets are nothing new. I think one of the big surprises was that a free breakfast program had been in effect for nearly a century in English schools before Americans instituted a similar program, and that the FBI found the Black Panther Party's Free Breakfast Program for Schoolchildren to be more threatening than any of their direct action tactics. Q: How did breakfast cereals become so popular? A: I think that wartime meat and egg rationing played a fairly significant role in getting cereal into so many (non-Adventist) households in the first place, but an even bigger factor was that many mothers had begun to take employment outside the home. Women were smitten with a food they could simply pour into a bowl. Another aspect of the changing American household is that postwar, children were becoming more independent because parenting guides (and cereal advertisements, naturally) were extolling the psychological benefits of kids doing things for themselves, including fixing their own breakfast. Of course, the implication was that it was good for children, but as a mother I can attest that it is also good for busy moms! Q: What is your favorite breakfast? A: I waffle (ha) between French toast with sausage and a good breakfast burrito if I have my druthers. If I'm in a rush, which is most weekdays, I am happy with good, strong coffee and wheat toast with butter and homemade marmalade. A: I'm currently about halfway through a book on the culinary history of my hometown, Portland, Oregon. It will be out in about a year from now. A: Yes! 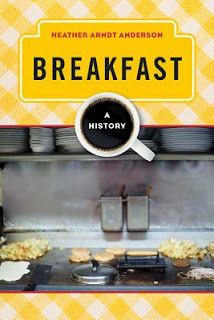 I will be presenting a talk on breakfast as metaphor in film and television in February, at Omnivore Books in San Francisco, and I do regular speaking gigs on bits of esoteric history at the Jack London Bar in downtown Portland. In the words of the insatiable Mae West, come up and see me sometime!